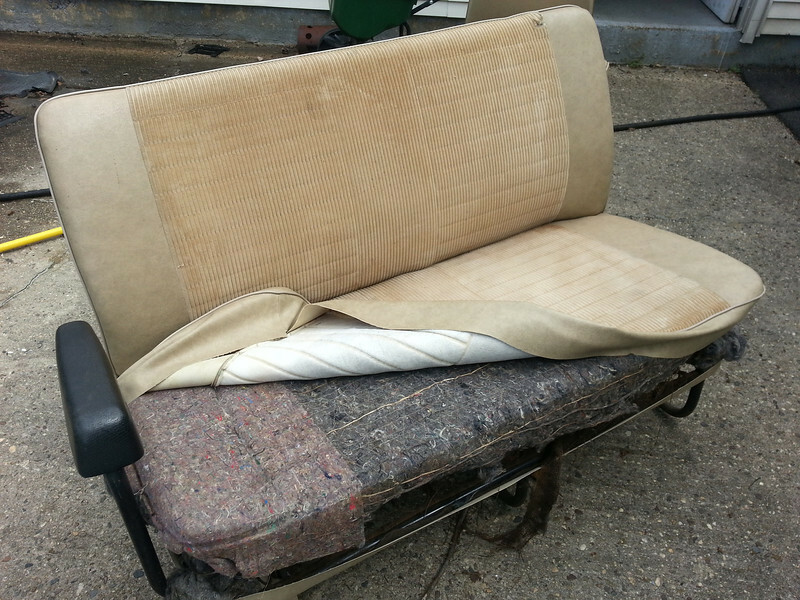 Middle 2/3 seat with seat cover partially removed. Bottom was preserved for pattern. Padding is original. Seat back not removed.